Final exams are just around the corner and can easily be the most stressful part of the semester for a student. Finish strong by preparing before your big test. 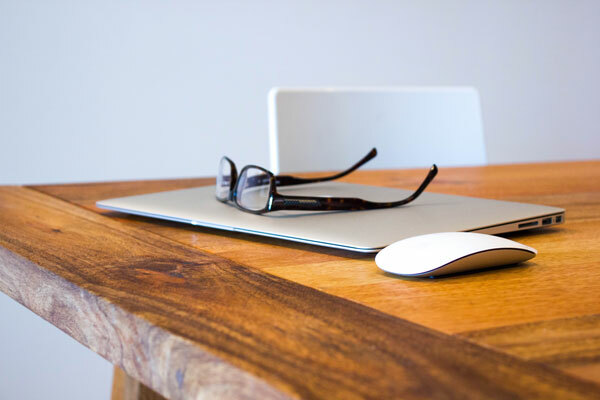 Here are 10 easy and practical tips to help make getting ready for finals easier. Grades, as we have known them, are having an identity crisis. Ask yourself, “What is a grade and what does it mean?” In an overly simplistic definition, a grade is just a communication tool. It gets more complicated when we begin to ask what is actually being communicated. 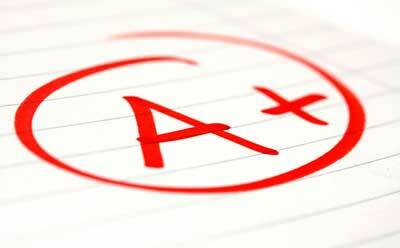 What does a grade really mean? I want to share some exciting news with you regarding student standardized testing results from Greater Atlanta Christian School. 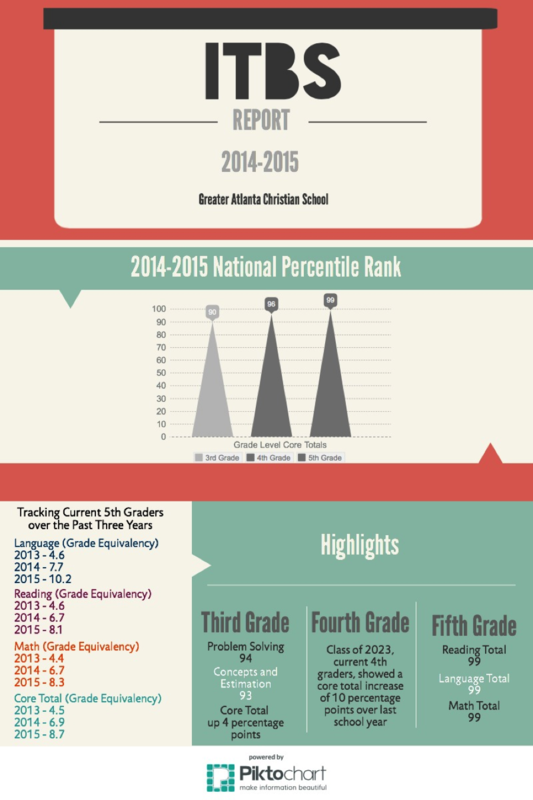 The infographic shows students' ITBS (Iowa Tests of Basic Skills) test results when compared to the national average. We tracked our current 5th graders over the past three years and their improvement in language, reading, math, and core total is impressive. Have you ever seen a line at a smoothie bar? It's incredible. People will wait forever for a cup of blended juices, fruits, protein powders, and vegetables. Why do they wait? Because the person behind the counter is making it just for them. It is exactly what they want and need. Just like we want our smoothies “personalized," we want our learning to be personalized too. Twenty-first century learning tools afford educators the ability to do just that – personalize learning. 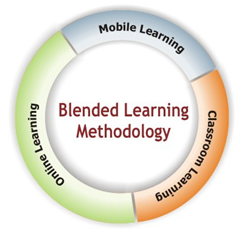 Greater Atlanta Christian School is in their first year of having blended learning classrooms.